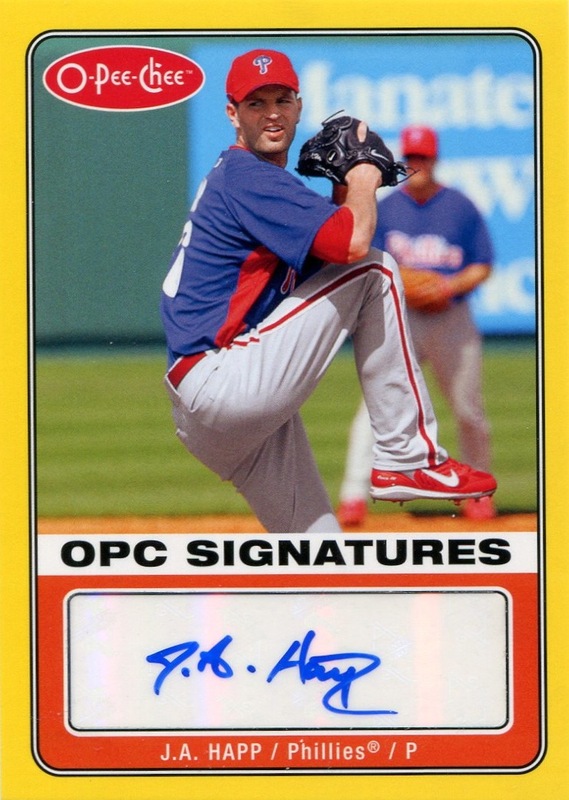 Additional Information/14,000 Phillies Commentary: Seeded in packs of 2009 O-Pee-Chee. Thanks to the combination of border colors and the fact that Happ is pictured in the Phillies spring training jersey, this may very well be the most garish Phillies card produced since the turn of the millennium. This card will cause eye damage if you stare at it long enough. 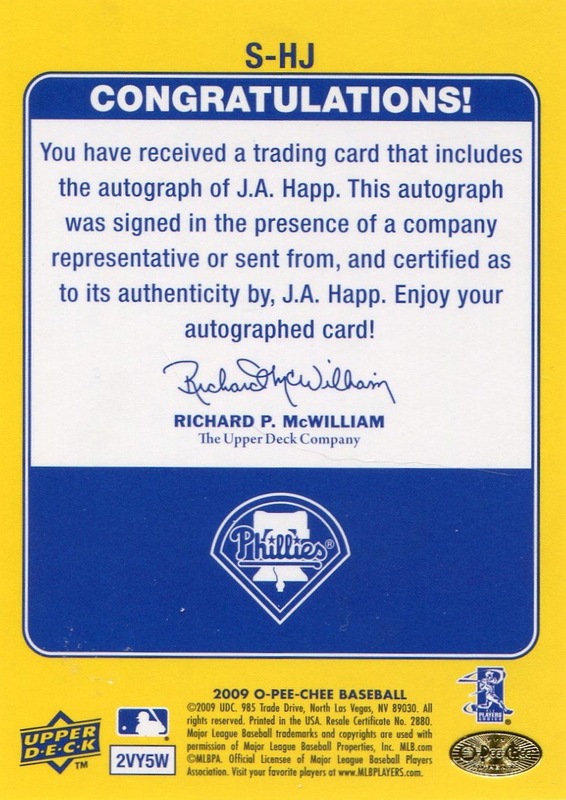 If you told me that this card single-handedly caused MLB to give Topps a monopoly on official MLB trading cards, I might be included to believe you. Thankfully, no other Phillies appear in this insert set — this is something I don’t believe I have ever said before.